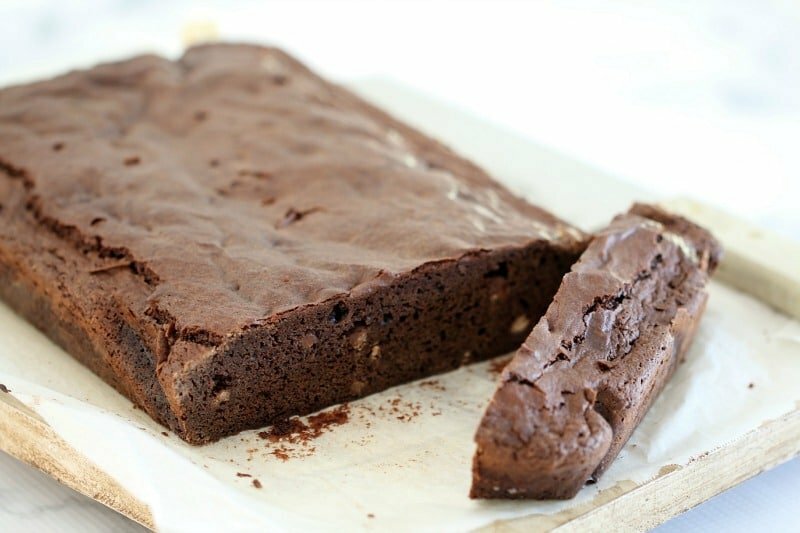 Seriously moist and decadently rich! 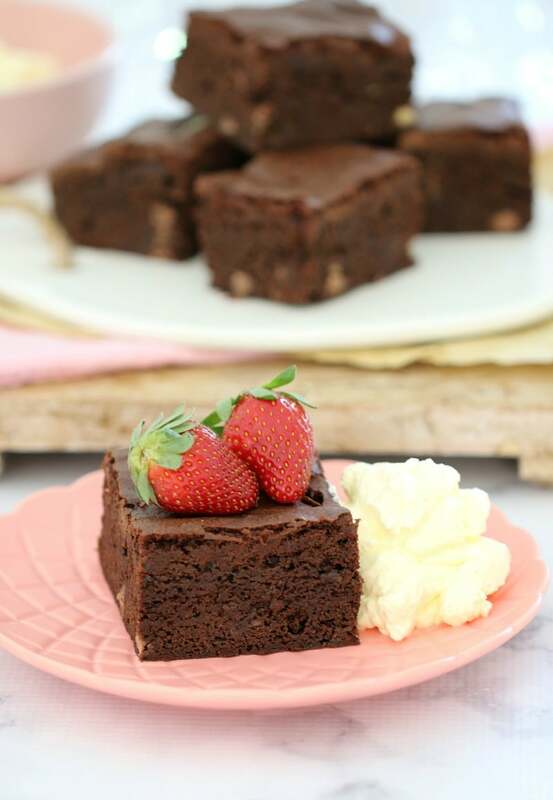 These Melt & Mix Triple Chocolate Brownies are enough to satisfy even the biggest chocoholics out there! 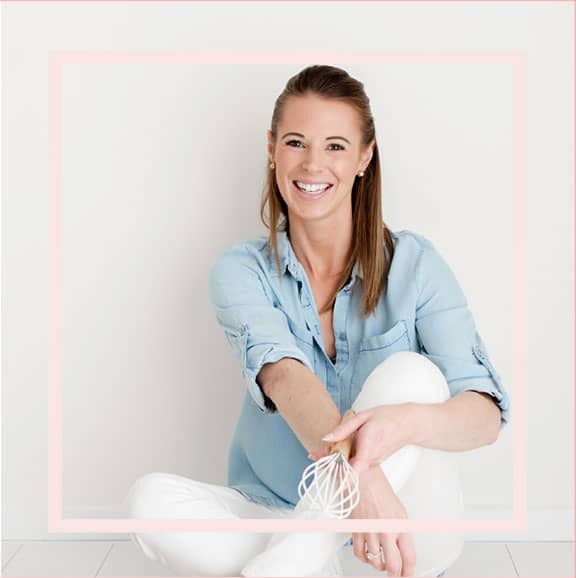 Say hello to my new best friend…. Melt & Mix Triple Chocolate Brownies!!! Yep, TRIPLE chocolate. 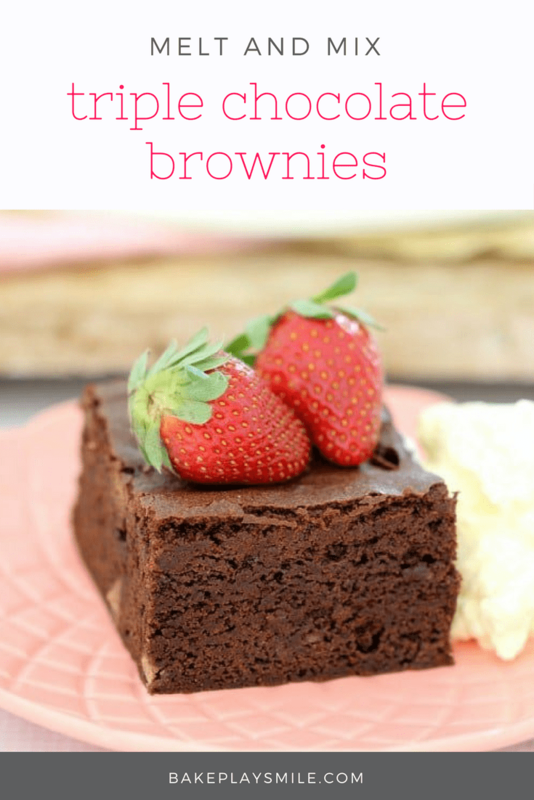 While I’ve always had a not-so-secret love of brownies, these ones are right up with my fave Nutella Brownies and my Jersey Caramel Brownies. And that, my friends, is saying a lot!! I think the thing I love the most about these chocolate brownies is the fact that they are triple chocolate. Yep just plain old chocolate is not good enough, and neither is double chocolate. Triple chocolate is the way to go! Oh and did I happen to mention that these are an absolute cinch to make. It’s all about melting and mixing. And eating… obviously. 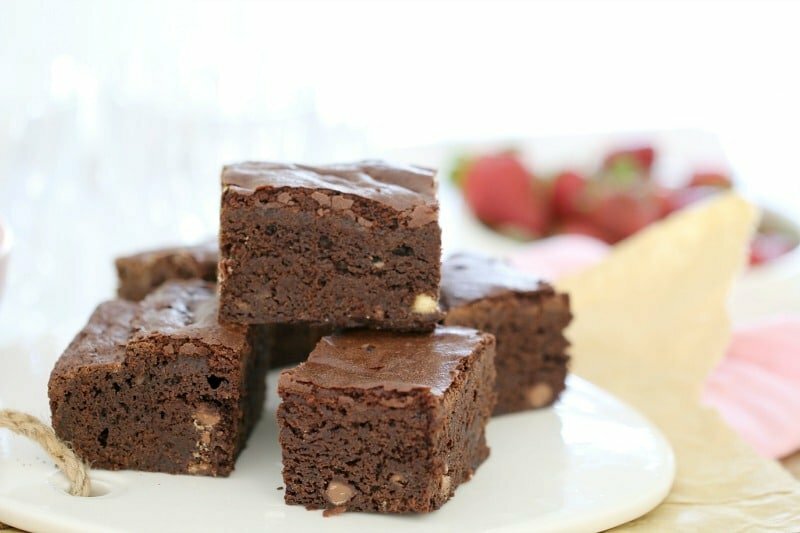 But in all seriousness, these rich and moist Triple Chocolate Brownies are only going to take you 10 minutes to make. I know, right!! How cool is that!? 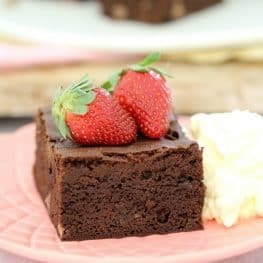 So to make these chocolate fudgy little bites, you simply melt the chocolate and butter together. Then you just pop all of your dry ingredients into a large bowl. Add the whisked eggs and the melted mixture and gently fold together. And that’s the end of it! Pure bliss… although you do have to wait for the brownies to cook which is by far the hardest thing in the world! 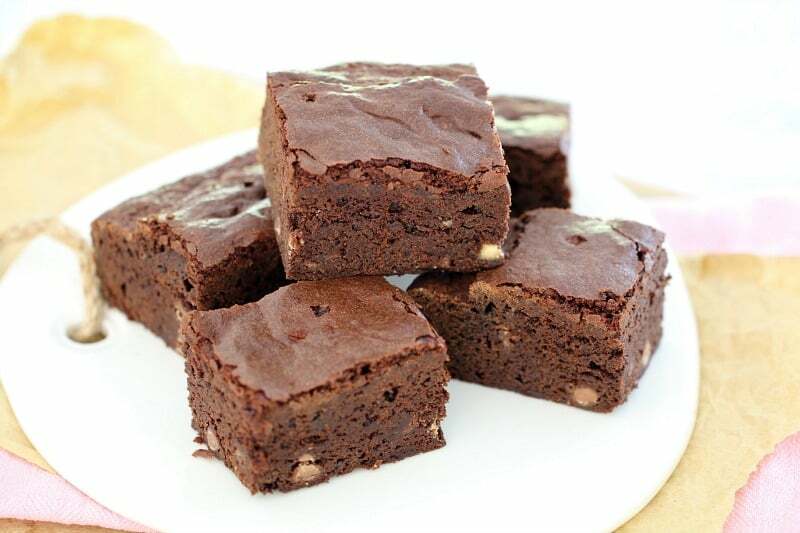 Speaking of brownies cooking – there is absolutely nothing better than the smell of brownies in the oven. OMG it’s good. If you can resist eating the whole tray after smelling these babies, then you’re a better person than me. And then you have a huge decision to make. You can either eat the Triple Chocolate Brownies on their own. OR you can add a big dollop of cream and some fresh strawberries (because fruit totally makes these healthy, right?). OR if you’re being super naughty, why not drizzle over a little salted caramel sauce and add a big scoop of ice-cream. Drooooooool. Preheat oven to 180 degrees celsius (160 fan-forced). Grease and line an 18X28cm rectangular slice tin with baking paper. Place butter and dark chocolate melts into a microwavable-safe bowl. Melt on 50% power for 3-4 minutes, stirring every 30 seconds with a dry metal spoon. Sift plain flour, salt, baking powder and cocoa into a large bowl. Add the brown sugar, white sugar and milk chocolate chips and mix together with a wooden spoon. Whisk the eggs lightly and add to the bowl. Pour in the melted chocolate/butter mixture. Mix with a wooden spoon until just combined. Pour into the prepared tin and bake for 25-30 minutes or until a skewer inserted into the middle comes out clean. 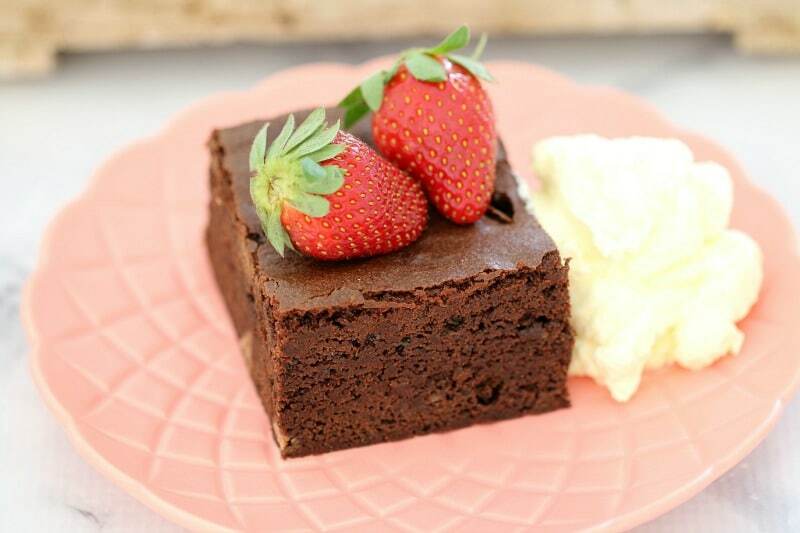 Seriously moist and decadently rich! 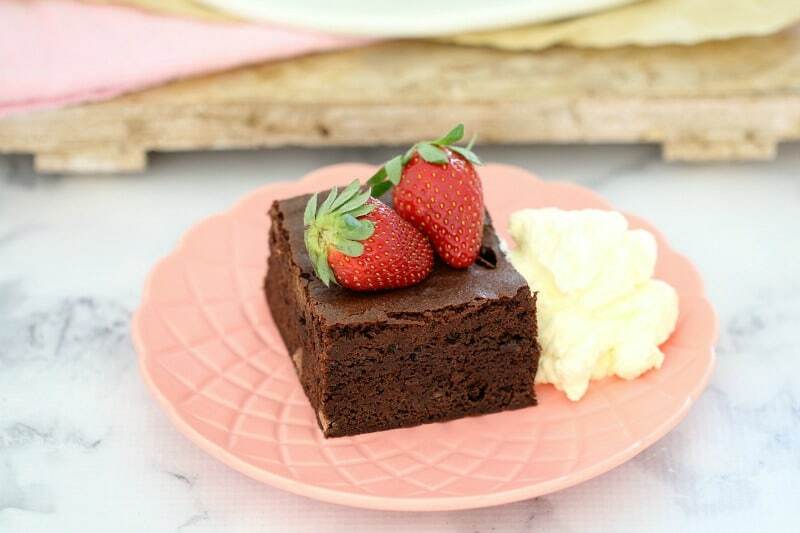 These Thermomix Melt & Mix Triple Chocolate Brownies are enough to satisfy even the biggest chocoholics out there! Place plain flour, salt, baking powder and cocoa powder into the TM bowl. Soft by pressing Turbo 3-4 times. Set aside in a seperate bowl. Place the butter and chocolate melts into the TM bowl. Melt on 50 degrees, 4 minutes, Speed 2. Add the sifted dry ingredients, the brown sugar, white sugar, milk chocolate chips and eggs and mix on Reverse Speed 2.5 for 10 seconds (you may need to use the spatula to assist). Scrape down the sides of the bowl and repeat for a further 15 seconds. I love anything melt and mix because although I might have to wait for the brownies to cook, I don’t have to wait for the butter to soften! And triple chocolate?! That’s thrice as nice! Are we on the same wave length or what?! Brownies ALL the way. 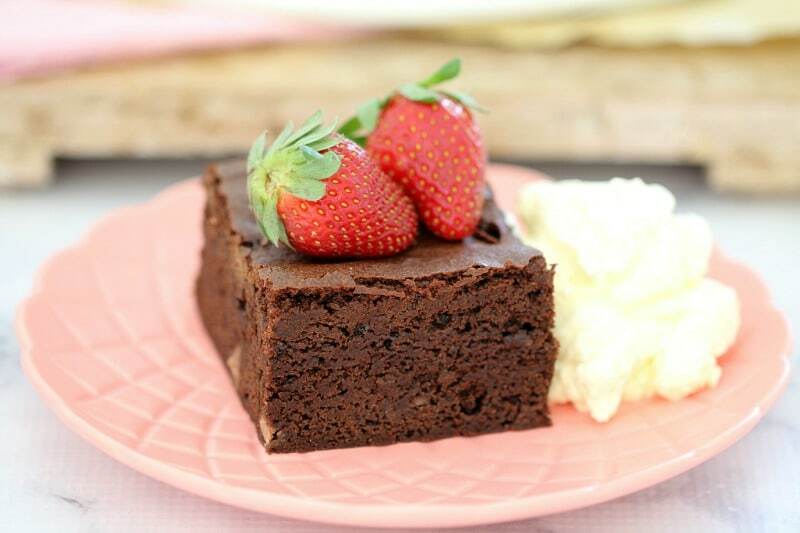 Just love the idea of TRIPLE CHOCOLATE brownies. These look so thick and decadent Lucy! Bet your fam gobbled them up in no time.